Finally – a guidebook to bouldering in Lofoten! Finally it’s here, the first guidebook to bouldering in Lofoten. 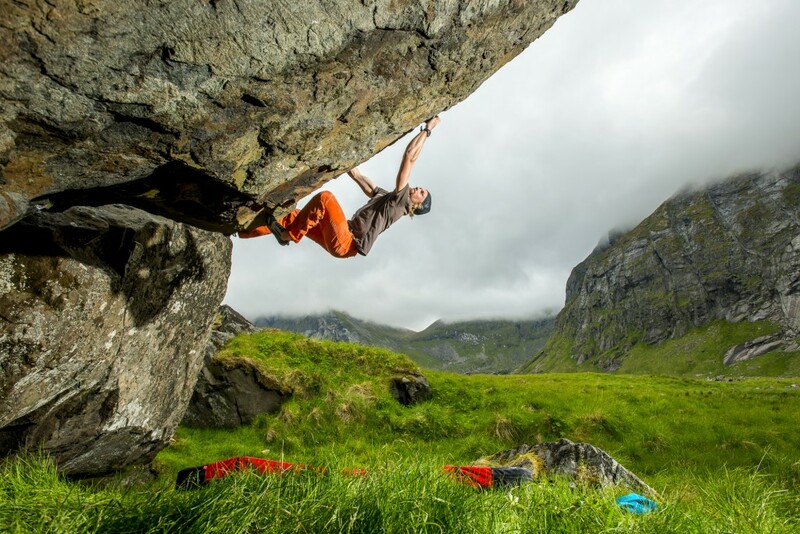 It’s the Swedish climber, photographer and writer Jonas Paulsson who has taken the initiative to present the fantastic bouldering possibilities in Lofoten to a broader public. Today there are more than 700 established boulder problems in Lofoten, and although there previously was some information available online, most of the bouldering in Lofoten was unknown to climbers. The guidebook was therefore welcomed by many, and it shows a side of Lofoten that few climbers have seen or experienced until now. Apart from route descriptions and maps to 24 different areas – from Svolvær in the east to the Bunes Beach on Moskenesøy in the west – the guidebook presents a large number of beautiful photos, to create an informative and inspiring guidebook. Get your copy now!